The day has finally arrived when I can share with you more details about the book project I took part in a few months back. 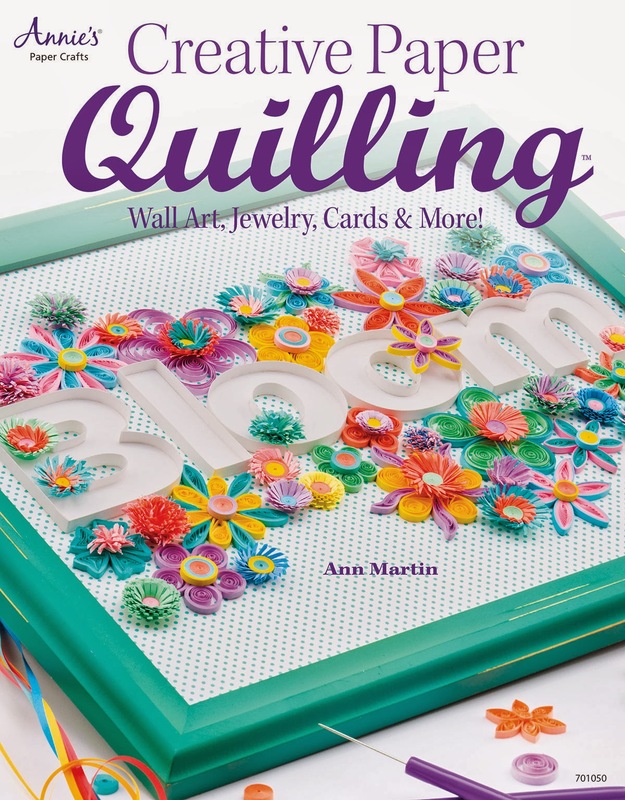 Many of you are already aware that there is a new quilling book available from Annie's called Creative Paper Quilling. It is a truly beautiful book authored by Ann Martin of All Things Paper. There are tons of gorgeous projects inside ranging from beginner to advanced. I was approached to create a project and I just decided to create one of the many projects that I have floating around in my head. It's on-edge quillography but I implemented an easy way to get those letters just right. There are detailed step-by-step instructions, templates, and material sources in the book. No detail was spared. You can order your copy here. Here's a more detailed shot of my project, which just so happened to make the cover art. I remember the day that Tanya Fox, Editor at Cardmaker, told me that my project had been chosen for the cover. I screamed for a few minutes and then immediately shared it with my hubby. Then, a few weeks ago I got a google alert and saw the cover for the first time. Again, I screamed for a few minutes and even scared one of my kids out of the shower! HA! The project went by pretty quickly. 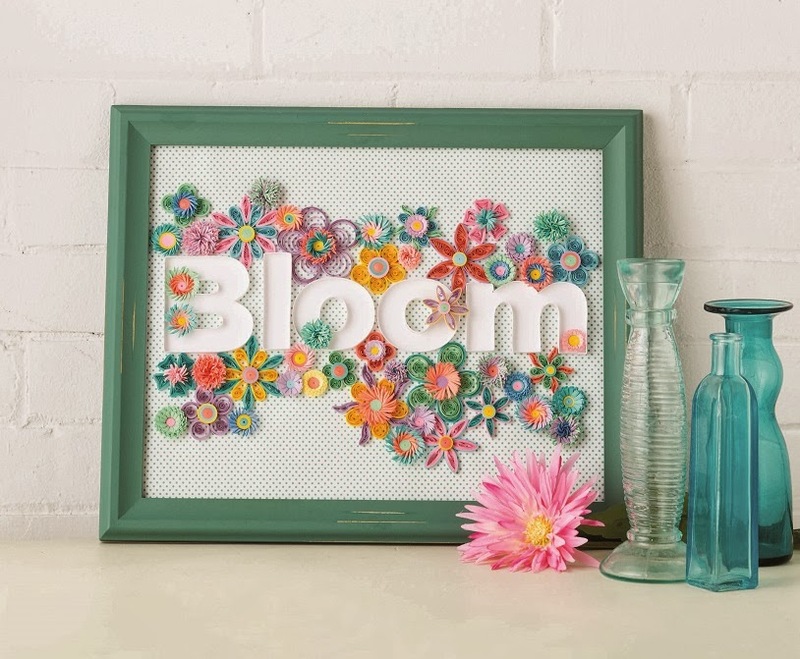 The flowers took the longest to make and once they were done I was able to assemble the letters and the other elements in the same day. I have yet to receive a hard copy but I've seen many of the images from inside and I can tell you, it's truly a beautiful book! Another quiller that took part in the book is my neighbor Linda Krieg (she and I live in the same town in NYC - can you really say town here?). 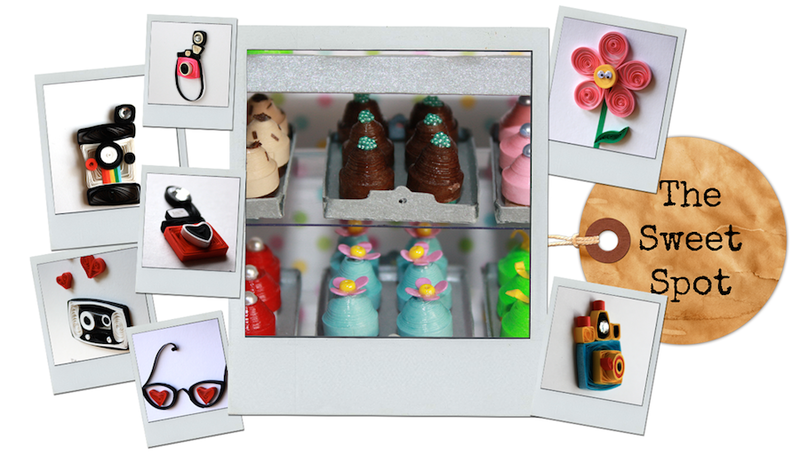 Go on and take a look at her blog to check out her project. She can be found at My Quilling Nest. I hope you guys have a lovely first Tuesday in November! I know I've been pretty scarce with my blog posts lately, but this is just the way life is panning out right now. I'll be sure to share any news or projects whenever I can. But, in any case, stay SWEET my peeps! Oh! I'm back on Instagram! Be sure to follow me. An icon with the link is on the sidebar.